When it came to gardens, my father showed no favorites. He tended his shade gardens with as much attention as he did his sun-filled gardens. Comparisons are odious, he liked to say! 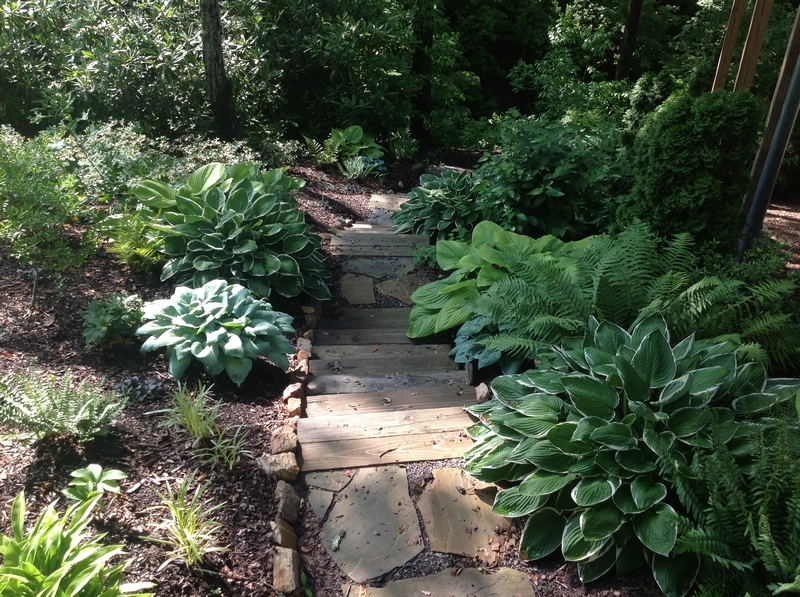 Why not see if there is a spot where you can tuck in a shade garden this summer? 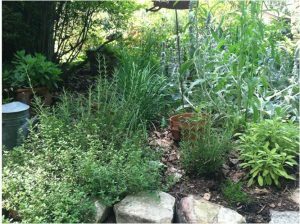 Determine how much shade your garden gets, and if it is moist or dry. Is the shade dappled or deep? Is the area shady all day, or only in the morning or the afternoon? Remember not all shade comes from trees! Roof lines and nearby structures also create shade. 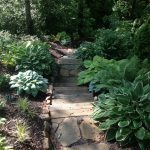 Shade gardeners have plenty of choices, and they aren’t only green foliage. 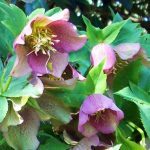 Plan a garden that incorporates native shade-loving plants with showy blooms to create a stunning garden from early spring through the first frost. 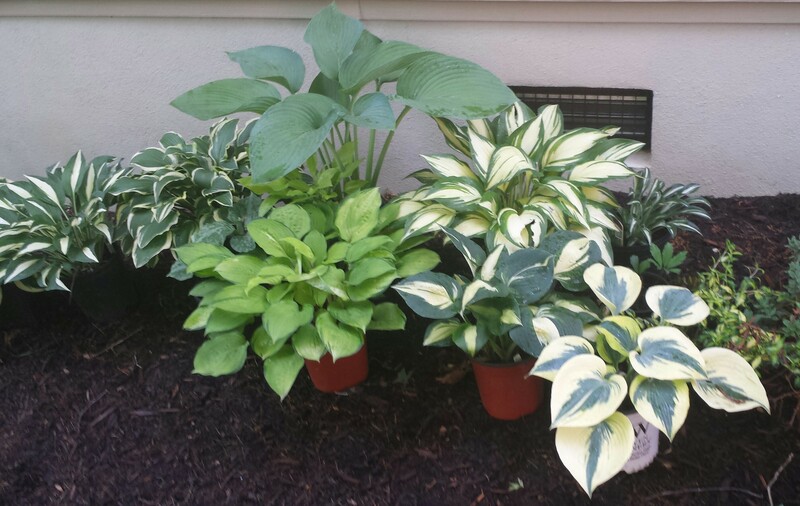 Hostas (Hosta spp.) come in a wide variety of sizes, shapes, and colors. 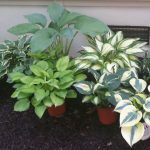 Because there are so many to choose from, they are perfect for shade gardens. Their flowers provide stalks of color beginning in mid-summer that are beautiful in floral arrangements. Beware that these plants are a favorite deer snack. 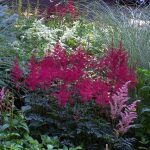 Astilbe (Astilbe x arendsii)—sometimes called false goatbeard or false spirea—have fern-like foliage and elegant plume-like flowers that create fountains of color ranging from white to pinks and reds. Astilbes do best in loamy, moist soil. Of hellebores (Helleborus spp. 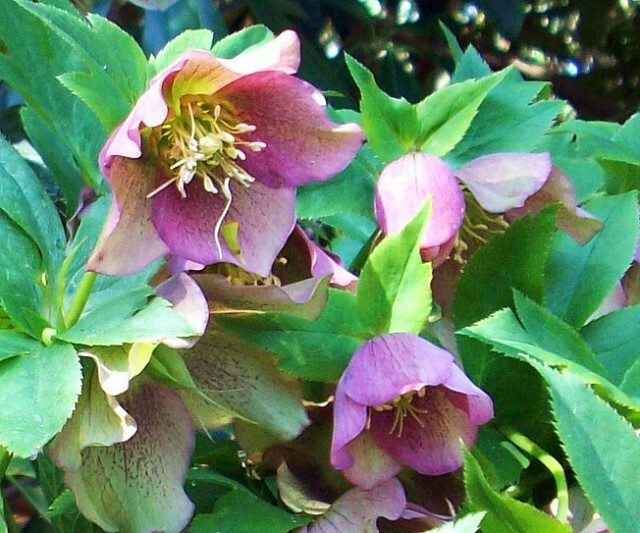 ), David Colle wrote in Fine Gardening magazine: “You simply have to love a plant that braves what nature throws at it and can still show off from February through May.” Often referred to as the Lenten Rose, these evergreen perennials can tolerate dry shade and require little attention. They are a favorite of aphids, though, so be sure they are well-spaced with plenty of air circulation. In September and October, the long-blooming freckled blossoms of the toad lily (Tricyrtis spp.) appear, providing a spot of color until frost. 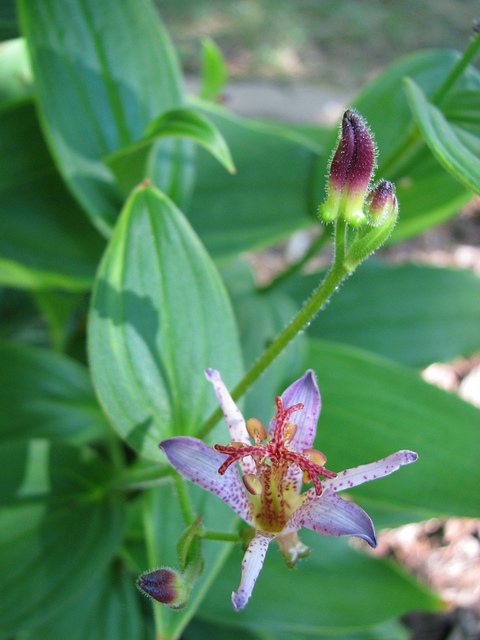 “Some, such as Tricyrtis formosana, have their blooms clustered at the top of the stalk, like daylilies. 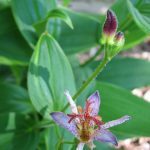 Others, such as Tricyrtis ‘Lightning Strike’, have their flowers marching down an arched stem,” according to the Chicago Botanical Garden. 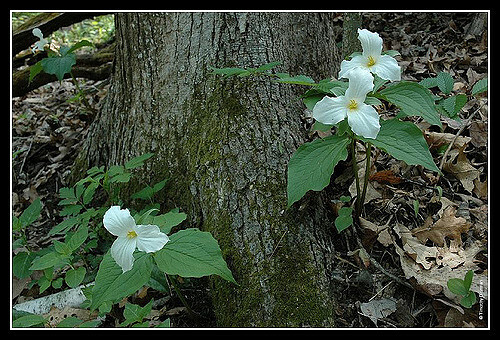 These plants like moist soil rich in organic matter. Toad lilies are another plant that deer love. 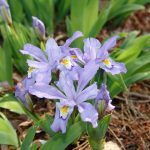 Be sure to purchase these native plants from trusted nurseries that do not collect them from the wild! 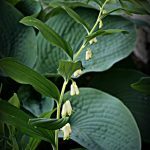 Solomon’s seal (Polygonatum biflorum), named for the Old Testament’s wise King Solomon, is lovely from spring through the fall. In April, look for creamy, bell-like flowers hanging from arching stems (1 to 6 feet tall). In the fall, the plants sport blueish-black fruits that are favorites of birds. 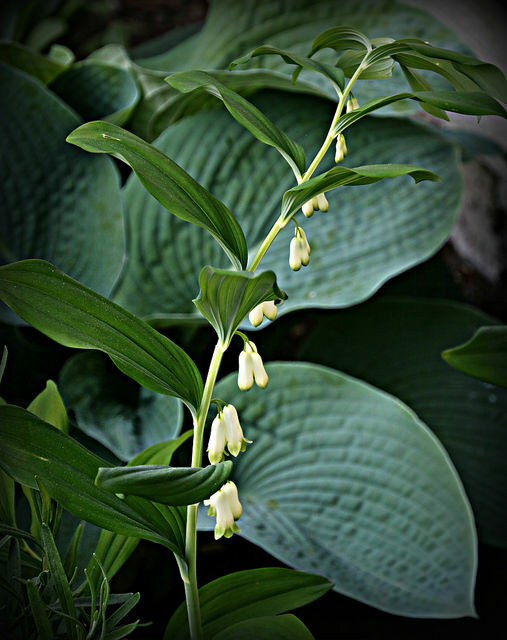 Solomon’s seal grows moderately in clumps. 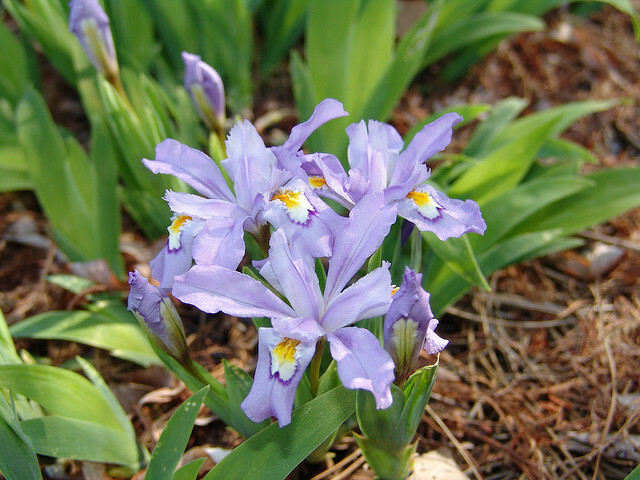 Miniature blue (sometimes lavender or white) crested iris (Iris cristata) put on a show in the spring. They are deer resistant and can thrive in partial to full shade. 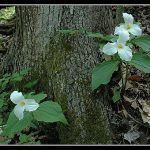 Masses of trillium (Trillium spp.) bloom in the forest understory along the Blue Ridge Parkway in the spring. Known as the trinity flower, because of its three leaves, the flowers range in color from white and yellow to pink and burgundy. 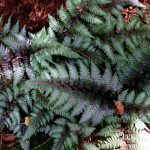 They come in all sizes, shapes, and textures—from lush, tall Christmas and cinnamon ferns, to low-growing, gray-shaded Japanese ferns, and delicate maidenhair ferns. Many are native to our mountains, hardy and—in most cases—deer-resistant. New York fern (Thelypteris noveboracensis) has fronds that grow up to two feet and makes a lovely addition to any woodland garden. It spreads easily in acidic, organic-rich soil. 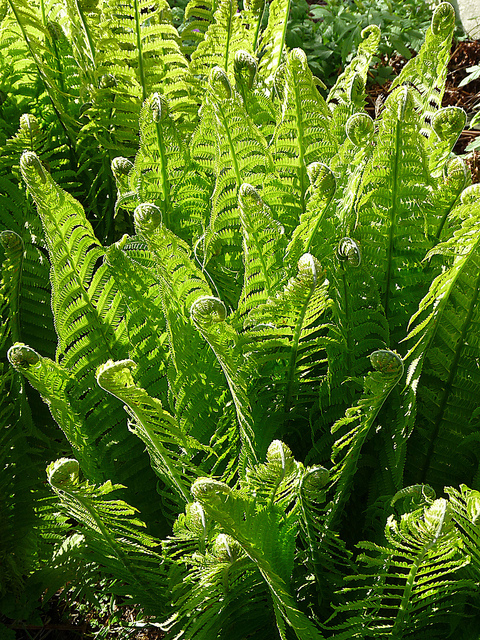 Ostrich fern (Matteuccia struthiopteris)—named for its fronds that resemble feathers—is a hardy, deciduous fern that produces “fiddleheads.” It prefers heavy, moist soil and plenty of shade, although it can tolerate some light. 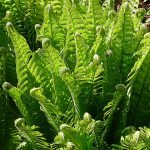 Fossil evidence puts the royal fern family (Osmunda regalis) in the Triassic period. 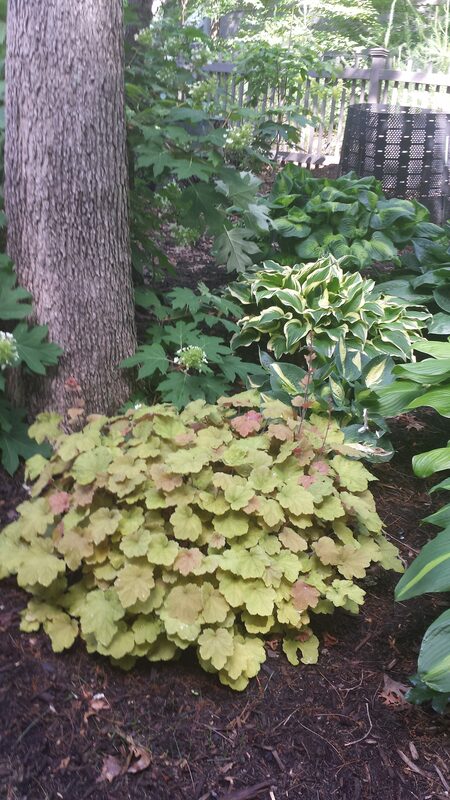 They like wet, rich soil and plenty of shade. Their feathery fronds often resemble flowers, hence its other name—flowering fern. 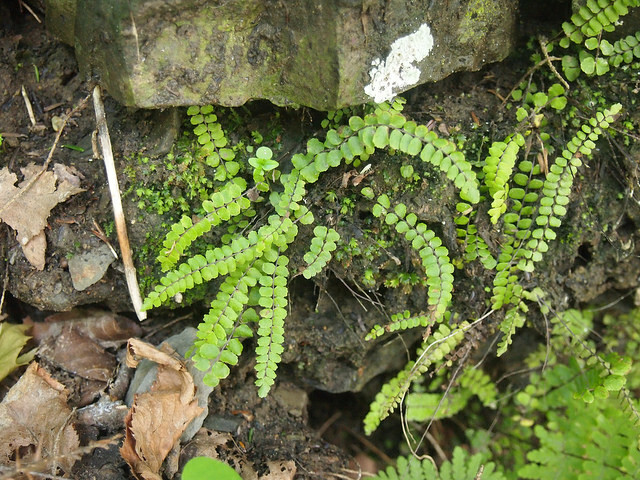 Maidenhair spleenwort’s (Asplenium trichomanes) name doesn’t do it justice. 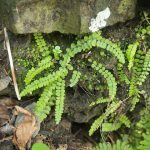 This petite evergreen fern (just 4 to 7 inches) favors moist, but well-drained rock crevices, making it perfect for rock gardens. 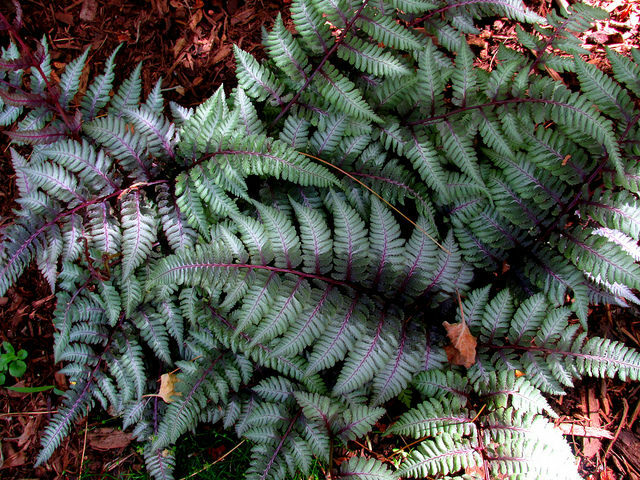 Japanese painted ferns (Athyrium nipponicum) really do look as if an artist’s brush decorated them in subtle tones of maroon, green, and silver gray. 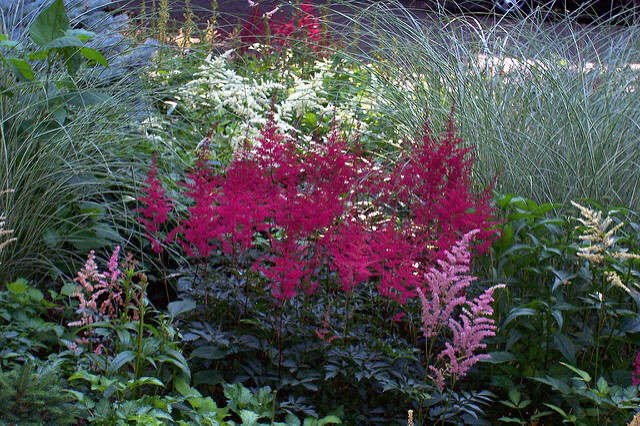 They are an excellent choice in shade gardens when you want to add a touch of low-growing color. Naturalized daffodils (Narcissus) make for beautiful spring sightings in a forest understory. You can create the same effect in your shade garden using a variety of bulbs from very small to big and bold. Unlike tulips, hyacinths, and crocus, deer and rodents typically don’t eat daffodil bulbs because they are poisonous. What hidden beauty does your shade possess? The possibilities are endless. https://plants.ces.ncsu.edu and search by plant name. Is your garden showing the effects of this summer’s weather extremes? One way to perk it up is with containers—by either refreshing existing containers or adding new ones. 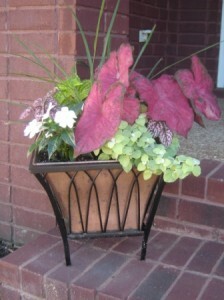 Containers can add a bit of color by the front door, decorate a deck or patio, or fill bare spots in a garden bed. 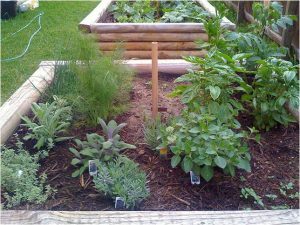 Nurseries generally have a good supply of plants suitable for containers from early spring to late fall. 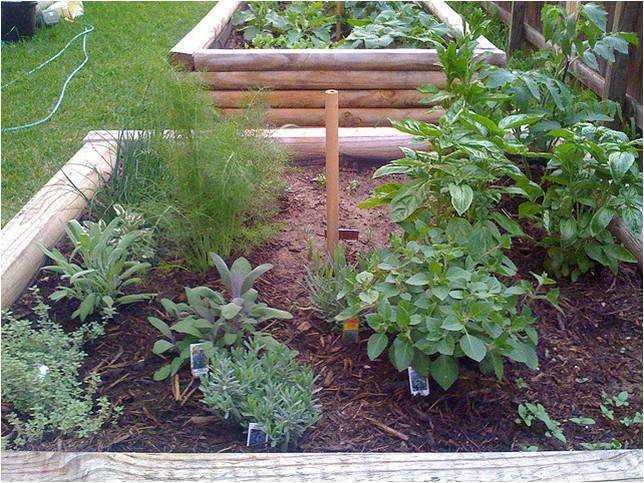 You can use a grouping of small pots or one large container holding several different kinds of plants. Large pots will dry out more slowly than small ones. Terra cotta pots will dry out faster than plastic or ceramic. Any container will need more water and more frequent fertilizing than plants in the ground. Drainage holes in the bottom are absolutely critical. 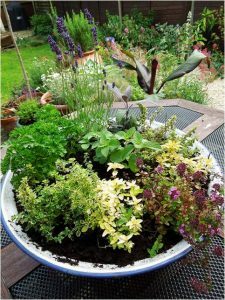 Use a good commercial potting mix in your container instead of garden soil which can carry pathogens and insects as well as being too heavy. Designing container gardens is simple if you remember this rule: “Include a thriller, filler, and spiller.” Start with something tall to catch the eye, then fill the pot with medium sized plants, and finally, add something that drapes over the side. Think about color and texture. 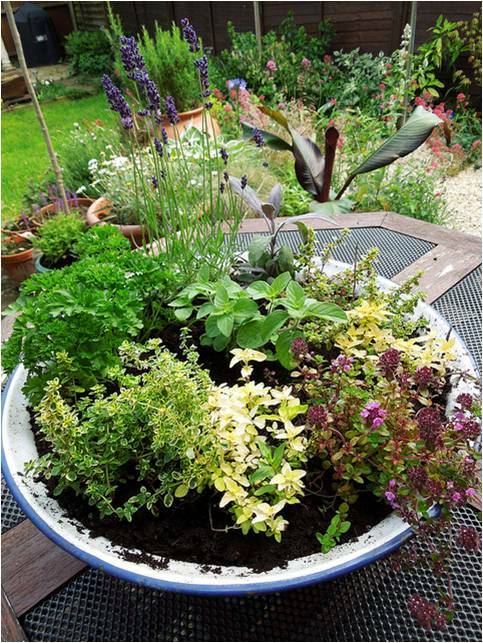 Get ideas for your containers at nurseries where appropriate companion plants are often grouped together. You don’t have to use flowering plants. 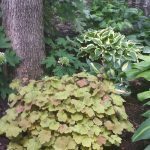 There are enough varieties of coleus alone to meet all the design criteria. And a pot of hardy herbs by the kitchen door can last through a mild winter.